To date, the following mandatory requirements for the registration of foreign citizens arrived in Uzbekistan were approved. 1. A tourist who resides in the Republic of Uzbekistan on a tourist visa does not have the right to register with his friends, relatives, friends at their place of residence. 2. The tourist who received the tourist invitation, first of all, upon arrival in the country is obliged to register at the hotel. This is allotted 3 days from the date of arrival to the Republic of Uzbekistan. 3. As soon as the tourist has arrived to the country, he is obliged to call in the booked hotel and register, and necessarily have on the registration form the registration number and the hotel’s seal). The tourist must keep the received document before departure and must provide a registration form at the airport, along with his passport. The tourist must correctly fill out an application form for an invitation to enter the country on a tourist visa. 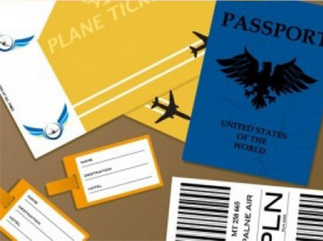 In the application the tourist must enclose a copy of his passport, as well as a certificate from his place of work. This is all necessary in order to avoid incorrect data when you issue a visa, which may incur complications in organizing your holiday. Tourist invitation for groups is made ONLY AFTER APPLICATION FOR TOUR PACKAGE. The tour package includes: pre-agreed route, vehicles, food, hotel services, guide, the exact date of arrival and departure.